Matt Whitbeck, Co-Owner and President of Whitbeck Construction, LLC specializes in custom framing, exterior sustainability, and residential remodeling. He’s serious about quality craftsmanship and energy efficiency. So much so that he is a popular speaker at building industry conferences on those topics. 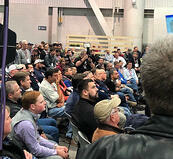 Whitbeck and Kevin Ireton spoke to a standing room only crowd in the High-Performance Building Zone at NAHB’ International Builders Show (IBS). 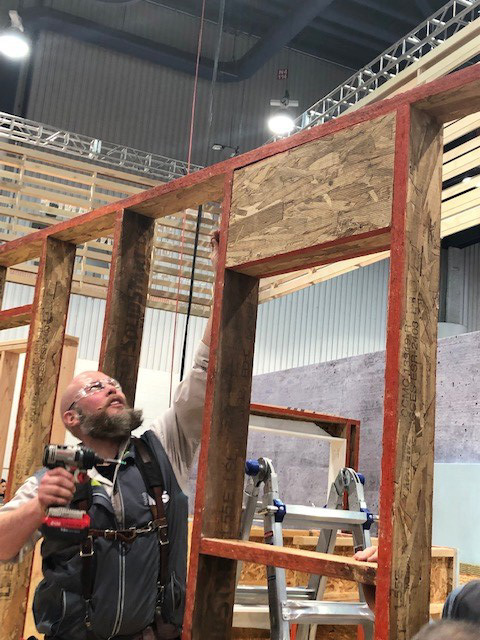 Whitbeck also took time following IBS to speak with Insulation Institute on three tips for framing carpenters as they work to help builders achieve more energy-efficient homes. According to Whitbeck, the most common problem he sees in framing construction is too many studs. “That’s a huge violation because it leads to thermal bridging,” he said. Whitbeck instead advocates for advanced framing using 2-by-6 framing spaced 24 inches on center, which leaves more room in the cavity for insulation and with fewer framing members, leading to less thermal bridging. The approach also includes the use of single top plates, 2-stud corners with properly sized headers that should be filled with insulation, also to reduce thermal bridging. It’s more energy efficient, structurally sound and can reduce builders’ lumber costs. Whitbeck notes that builders and framing carpenters should explore advanced framing to determine if it makes sense for them, particularly with building energy codes changing across the country, necessitating new approaches to achieve more energy-efficient homes.